To make their selection the panel of industry experts reviewed FinTech Global’s analysis of 637 InsurTech companies. Those honored in the final selection demonstrated potential cost savings, efficiency improvement as well as an impact on the value chain, or revenue enhancements generated. InsurTech is one of the largest and most important sectors within the FinTech space. Over $7 billion has been invested in InsurTech solution providers since 2015. Insurance companies, reinsurance firms, and investors realize the huge impact new digital models are having on the industry. As incumbent financial institutions grapple with rapid innovation and digital transformation challenges, the InsurTech 100 was produced to identify the 100 innovative companies that every leader in the insurance industry needs to know about. A full list of the InsurTech 100 can be found at TheInsurTech100.com. More detailed information about the companies is also available for download on their website. There’s plenty of interest and hype about InsurTech in the marketplace, but much of it is superficial, incoherent or self-serving and fails the needs of decision-makers in incumbent insurance and reinsurance firms who require independent, facts, figures, and analysis. 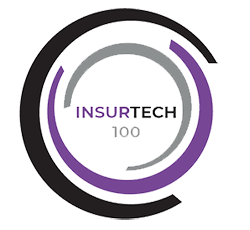 The InsurTech100 list will help senior management and insurance professionals evaluate which digital insurance models have market potential and are most likely to succeed and have a lasting impact on the industry. Insuritas has reengineered insurance distribution in America; simply changing the way insurance works – by building a scalable platform that currently has a comprehensive knowledge of, and active engagement with, nearly 9 million retail and 1.5 million small business insurance buyers. Insuritas has reengineered insurance by building complex, private labeled insurance agency solutions embedded into the financial services industry, enabling these firms to own a turn-key insurance agency and offer their customers a comprehensive set of insurance & risk management products through a white-labeled, digitally-optimized solution installed, managed, and optimized by Insuritas. Insuritas has built a single fully integrated platform that can connect the over 300M insurance buyers in the United States, and all of their annual insurance needs to insurance carriers in a single, virtual insurance agency eco-system, collapsing the fragmented and antiquated customer acquisition, quoting and policy issuance model and finally replacing it with intelligent insurance. For additional information, please visit insuritas.com. Thomas did a great job. He was very professional and knowledgeable and was able to answer all of my questions. I would say the only way to improve is to get more people like him.